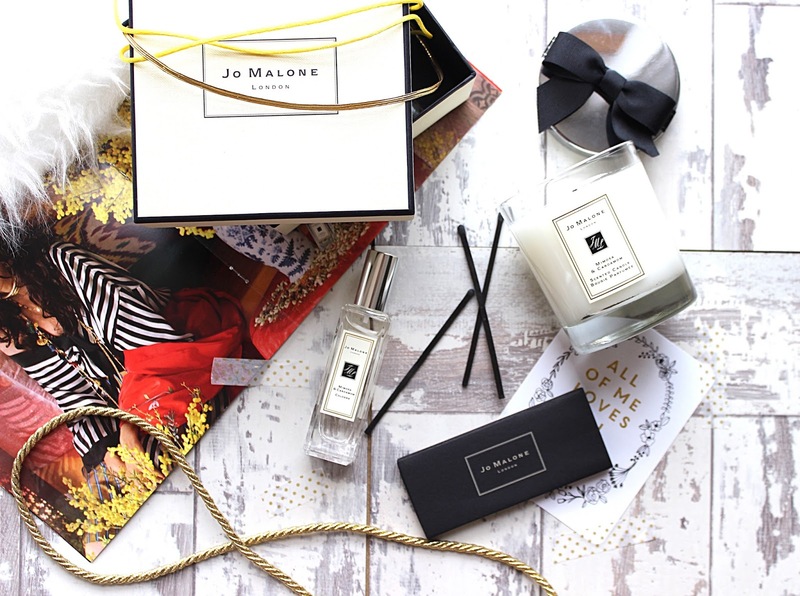 The latest addition to the Jo Malone family is their new Mimosa and Cardamom cologne, which I think is the perfect scent for transitioning from Summer to Autumn. Mimosa and Cardamom is described as the perfect bohemian fragrance so think magical Marrakech souks with the added sweetness of honey from the dates and pears in the tagines. The top note is cardamom, which gives the fragrance a bit of spice, heart notes of golden mimosa and a base of tonic bean which balances both the spice and sweetness out to give a final lingering creamy and powdery scent. There are also an element of floral scents with this fragrance but they're very faint making it perfect for those who love deeper more sophisticated musky scents. For this reason I think as a fragrance this can be worn by both men and women as the spice of the cardamom makes it manly enough for a guy to wear but the mimosa makes it sweet enough for a woman. I also have the candle in the new fragrance and as with any Jo Malone candles the scent almost becomes something completely difference once lit. I love the smell that fills the room when this is lit as it's such a stunning and unusual scent like no other candle I own. The campaign surrounding the fragrance is so beautiful and if you’ve been to Marrakech you’ll be instantly transported back to the markets filled with an array of multicoloured rugs and stunning stained glass lanterns. As part of the launch Jo Malone have also created a page on their site where you can make your own Bohemian coloured tiles to use as phone and laptop backgrounds.